Indonesia, a nation of more than 260 million citizens living in an archipelago made up of 17,000 islands, is a strategic U.S. partner in advancing stability and economic opportunity in Asia. U.S. assistance and support has made important contributions to Indonesia’s development as a stable democracy that contributes to regional security and global growth. Despite having the largest economy in Southeast Asia, Indonesia’s progress has been hampered by challenges affecting how resources—natural, human and financial—are developed and utilized. Inefficient government processes, poor natural resource management, inadequate energy access and poor human development have held the nation back. Signed in November 2011, MCC’s Indonesia Compact was designed and managed by Indonesians to address these barriers to development, in line with the Government of Indonesia’s priorities for moving the nation forward. The Compact has been a major pillar of the U.S.-Indonesia strategic partnership, based on shared values and a commitment to expand cooperation on issues of peace, stability and economic prosperity. MCC’s Compact with Indonesia invested in the potential of the nation’s people, businesses and economy. The Community-Based Health and Nutrition to Reduce Stunting Project aimed to prevent and reduce chronic childhood malnutrition by improving the capacity of health service workers, strengthening health and education efforts; and shaping a national conversation on nutrition and sanitation. The Procurement Modernization Project piloted new methods and introduced an innovative digital system to help the Government of Indonesia more efficiently procure goods and services—improving the effectiveness of government spending, while also establishing a professional procurement workforce that is poised to continue driving innovation. 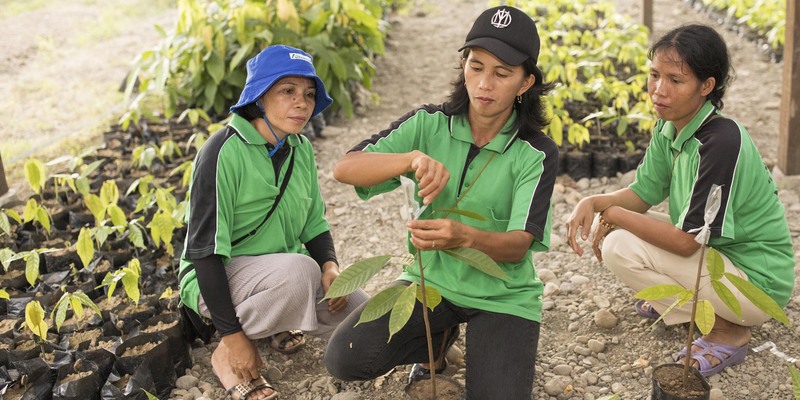 Through the Green Prosperity Project, the MCC Compact supported the Government of Indonesia’s commitment to environmentally sustainable, equitable growth by improving natural resource management, and maximizing opportunities for investment in agriculture and renewable energy, including through partnerships with the private sector. 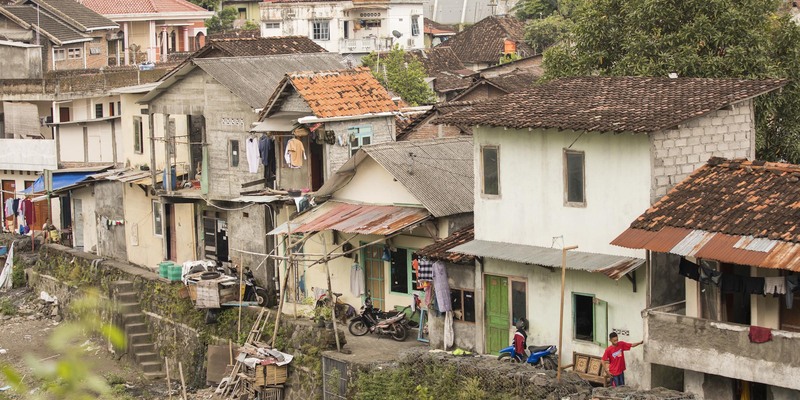 MCC invested in new approaches to drive economic growth in Indonesia, with a focus on community ownership and innovative models that can be tailored to meet local needs and effectively allocate resources. Compact projects were designed to be scalable—allowing for flexibility with shifts in demand and emerging opportunities. This theme of learning and scaling was integrated throughout compact projects. The result is a wide-ranging portfolio of investments that allowed MCC, in partnership with Indonesia, to test new models to address old problems. Deforestation and fires in dry peatlands wreaked havoc on some Indonesian islands—destroying farm land and emitting smoke that pollutes the air and causes illness. MCC investment in peatland restoration showed how a lower cost method for rewetting peatlands can be effective and done in a way that engages the community. The Government of Indonesia’s Peatland Restoration Agency, which was established after the compact began, has now changed regulations to accommodate this new approach. Understanding land use and boundaries helps communities plan and make informed decisions to manage natural resources. The “local level up to national level” approach of the Participatory Land Use Project’s Village Boundary Settings activity was a new approach for the Government of Indonesia. Inverting the traditional Jakarta-centric approach to mapping by actively involving the community in direct collaboration with local officials the Government of Indonesia has enabled mapping of communities across the country. When MCC’s partnership with the Government of Indonesia began, there was no word for ‘stunting’ in Bahasa Indonesia, the most widely spoken national language. More than one-third of children under age five in the country are chronically malnourished—stunting their physical and cognitive growth, which have lasting effects on the potential for learning and earning later in life. The Community-Based Health and Nutrition to Reduce Stunting Project built on an existing program to pilot a new approach combining interventions in health, sanitation and nutrition. 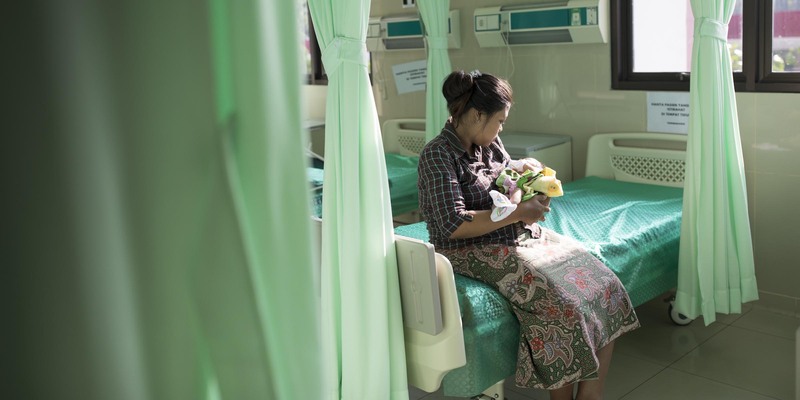 The project targeted approximately 5,400 villages across 11 provinces where rates of stunted growth and low birth weight are higher than national averages. A communications and outreach campaign complemented on-the-ground efforts, helping to raise visibility of stunting as a nationwide issue, as well as opportunities to improve nutrition. Now, fighting stunting is a national priority in Indonesia, with the highest levels of government committing to continue progress. Guidelines and policy frameworks are in place to carry these gains forward in the areas of infant and young child feeding, growth monitoring, and the integration of sanitation into nutrition efforts, and the national Ministry of Health and district governments are mobilizing resources and replicating activities using local funding. Government procurement of goods and services in Indonesia accounts for more than $42 billion in expenditure each year—a significant portion of the national budget. Prior to the beginning of the Compact, procurement was not a recognized function for civil servants, with items and services for government institutions, such as offices, schools and health centers, purchased by ad-hoc committees of government employees without relevant expertise. This lack of systemization was inefficient and created opportunities for mistakes, resulting in misused funds and diminished quality of goods, works and public services. Through training and technological innovation, the project has reduced costs and achieved efficiency in procurement, creating a higher standard that meets the public’s needs and ensures timely delivery of services. Indonesia’s progress in procurement modernization is now being studied by other countries interested in improving their government systems. This project will help reduce fraud and misuse of government funds, and unlock investment in infrastructure and public services that will directly benefit the citizens of Indonesia. Improved assurance in transparent, systematic procurements can also serve to improve the confidence of businesses interested in investing or providing services in Indonesia. Collaboration with the private sector—ranging from large, international businesses to small holder farmers—is critical to creating the economic opportunity that spurs lasting growth. 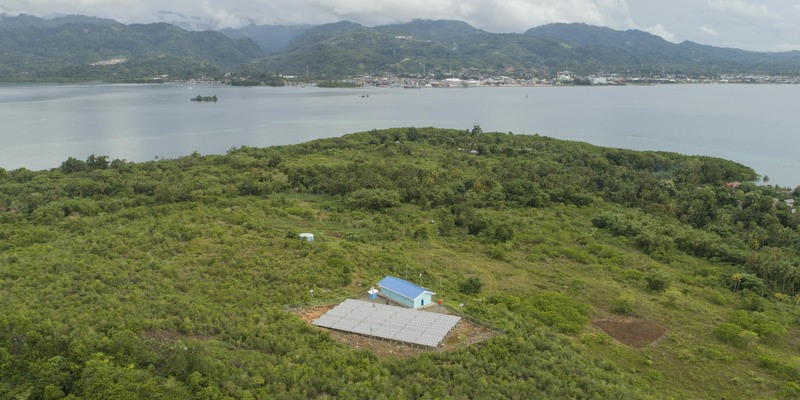 A solar installation operated through a community-developer partnership—the first of its kind in Indonesia—is now bringing reliable power to Karampuang Island. In addition to the jobs created to maintain the solar panels, a consistent electricity supply has enabled island residents to start businesses and pursue opportunities that were previously unavailable outside of daylight hours. MCC’s $19 million investment in the cocoa sector will reach nearly 90,000 cocoa growing households across the six-main cocoa growing provinces in Indonesia, creating new prospects to increase productivity and income. Cocoa trading and processing companies are providing 50% of the co-financing to enroll up to 36,500 new farmers in their certified, sustainable supply chains that will pay premiums to farmers for their certified beans. Many grants made under the GP project had the additional importance of ensuring that women and other marginalized groups could participate in, and benefit directly from, investments. In Lombok, the indigenous Sasak community had limited economic opportunities. Many would carry buckets of salt water to their homes and then earn a meager income by selling the salt cooked out of the water. The MCC grant aimed to improve the quantity and quality of salt production. Today, farmers can pipe in salt water, which, combined with improved cook stoves and market access, is contributing to increased production. Also in Lombok, an investment in partnership with the World Wildlife Fund sought to increase market access for sustainable forest products. This project worked with women’s cooperatives and other farmer groups to support activities, including bamboo-weaving and jackfruit-chip production, as well as to develop other non-timber forest product lines. The cooperatives also conducted market research on how best to sell products and other locally produced items, such as sugar and coffee. MCC is proud of the compact with the Government of Indonesia. Working together, the projects have made significant contributions in addressing key challenges holding back the country’s development. As two of the world’s largest democracies, the United States and Indonesia have forged a strategic partnership based on shared values and a commitment to expand our cooperation on issues of peace, stability, and economic prosperity. This compact supports the foundation that will strengthen the Government’s support for its people, helping millions of Indonesians lead healthier, more economically secure lives.